This is a programme aimed at upskilling employees within small and medium-sized enterprises (SMEs) in Swindon & Wiltshire. It provides recognised accredited qualifications and bespoke training courses to enhance employees’ skills, increase the competitiveness of the business and boost the local economy. Working with SMEs to develop bespoke training programmes relevant to their needs, this £4m programme is co-funded by the Skills Funding Agency (SFA) and contracted out to Serco, supporting the workforce at no extra cost to the business. 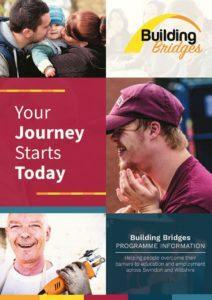 Building Bridges is delivered by a partnership of 40 local organisations, who are experts at supporting those furthest from employment and giving them the skills and confidence they need to move forward. 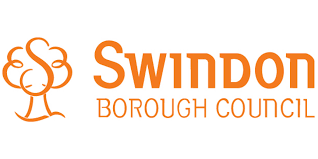 The programme supports people across Swindon and Wiltshire who are facing significant challenges in being able to develop their skills, access education or move towards the world of work. It is aimed at those who are unemployed, economically inactive and those facing multiple, complex challenges and barriers that could affect employability. Relevant partners work with people on a one-to-one basis to help them address these challenges and develop a personalised plan to help achieve goals at a pace they are comfortable with. Taking part in the programme is entirely voluntary and all advice and support is offered free of charge. For more information about the project please visit here. Support increased business engagement in education and future employability of young people. Create a national network of brokerage between employers and schools, giving greater consistency and coverage. Complement and enhance existing activities, building upon strong provider partnerships and developing a new and innovative approach. Ensure even coverage of impartial, high quality Careers, Education, Information, Advice & Guidance (CEIAG) exists for all young people to access across the LEP area.